The VW Group’s SEAT brand has been quietly carving itself a niche as a cool purveyor of quick, quality cars for several years now, but with the release of the latest Leon Cupra, things have moved up several notches. 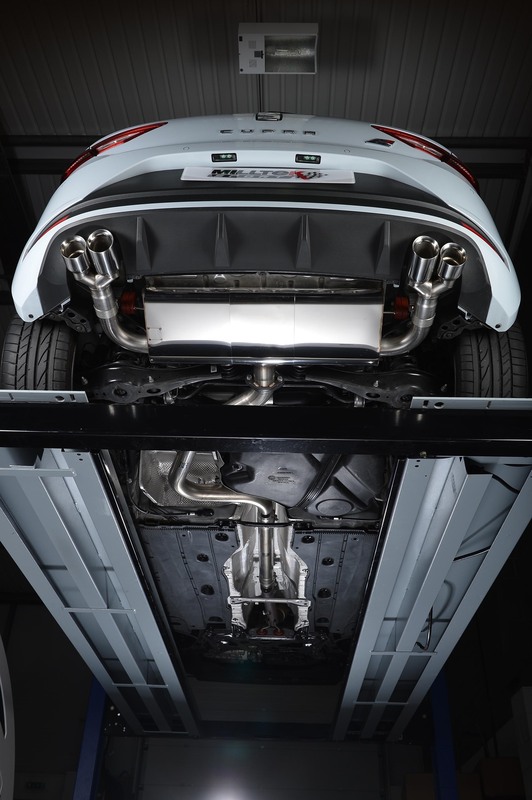 Built on the latest generation VAG chassis, dubbed MQB, combined with the fantastic 280PS 2.0 TSI engine, the new Leon Cupra offers one of the most sought-after tuning platforms in the VW family line-up and Milltek Sport has spent an unprecedented amount of time creating a truly impressive and comprehensive range of performance exhaust options for this car. 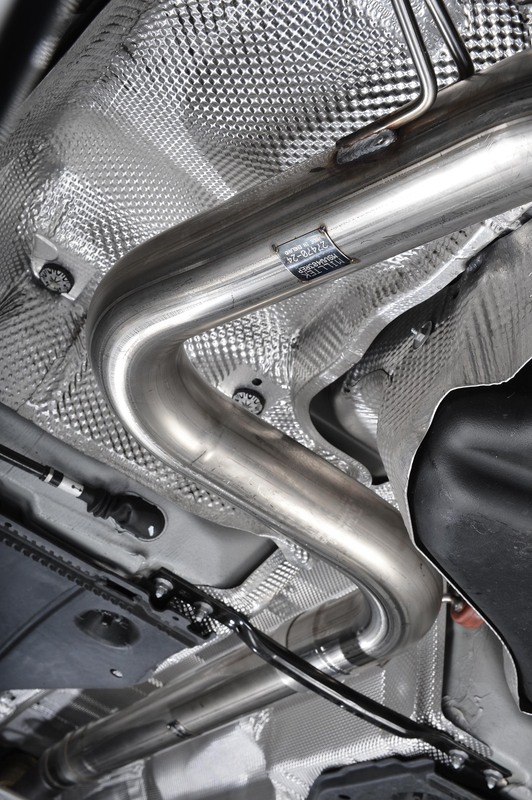 Milltek Sport's SEAT Leon Cupra exhaust systems are hand-finished in their UK factory from the finest grade of Type-304 stainless steel. Extensive gas-flow testing and analysis, Milltek's engineers found that a full 3" (76.2mm) diameter offered the best gains in both power and torque, but without producing drone or resonance at motorway speeds. 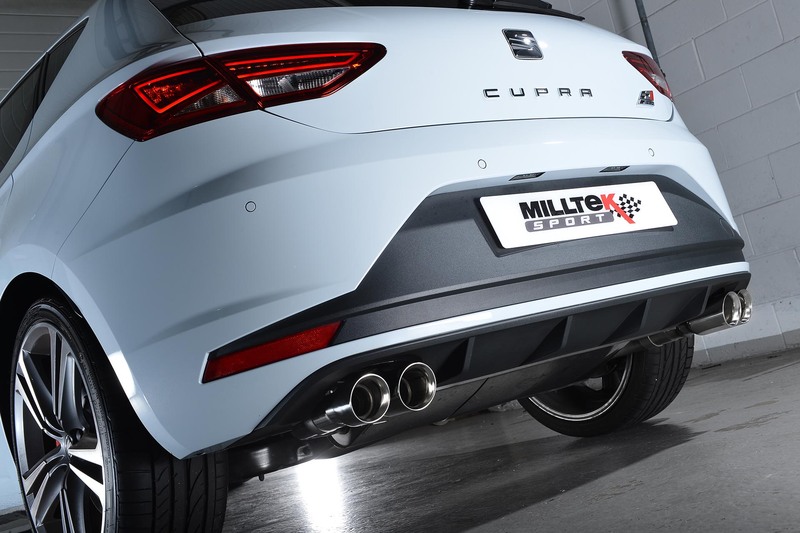 Milltek Sport developed two different cat-back systems for the Cupra, one was developed specifically to meet EC Type Approval (sometimes referred to as TÜV certification or E-Mark) which is a legal requirement for sale into many European and a small number of Asian countries. 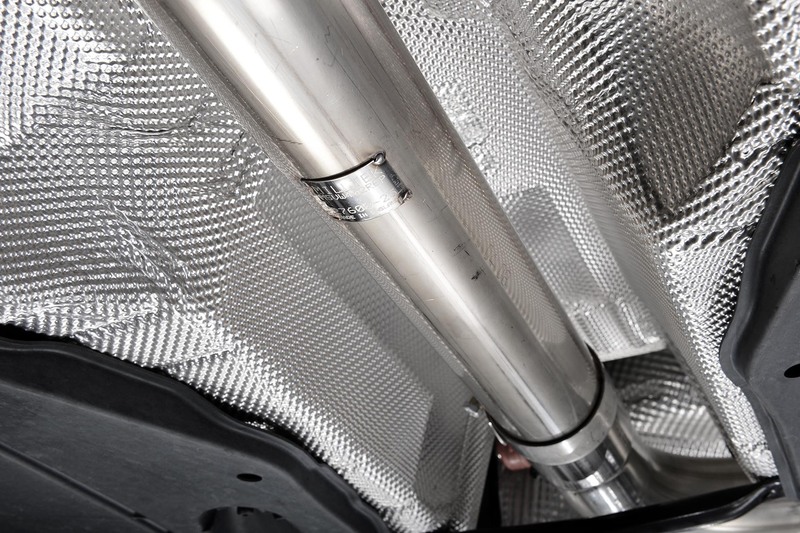 EC Type-Approval restricts the overall volume an aftermarket exhaust can produce so Milltek’s engineers have used their acoustic expertise to produce a system that meets those restrictions but have focussed their attention on the clarity, quality and tone their system produces. The EC system still offers the same performance gains and fun-factor as the non-EC approved system but is delivered with the all-important paperwork to stay on the right side of legislation. The other cat-back system offered by Milltek is designed for countries that don’t require EC Type Approval and offers less restriction on the maximum volume that can be produced. 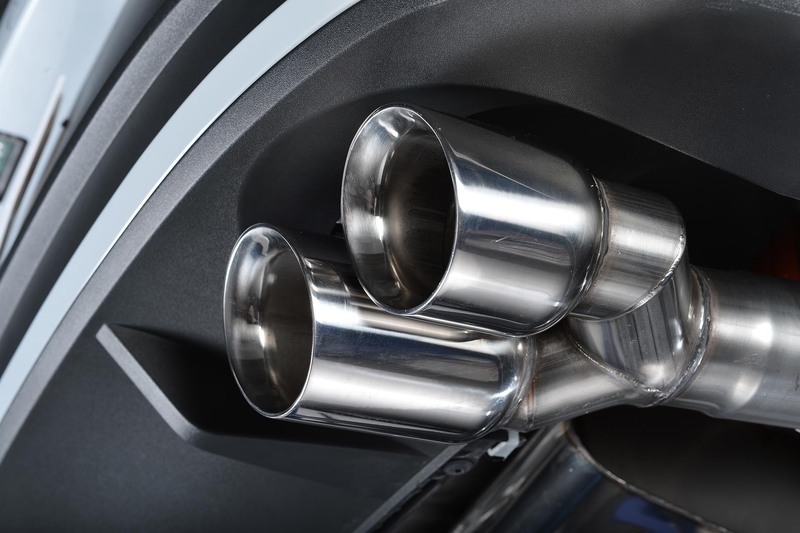 However, while it’s a few dB louder, it never drones, resonates or becomes intrusive in the cabin – even when on the racetrack. 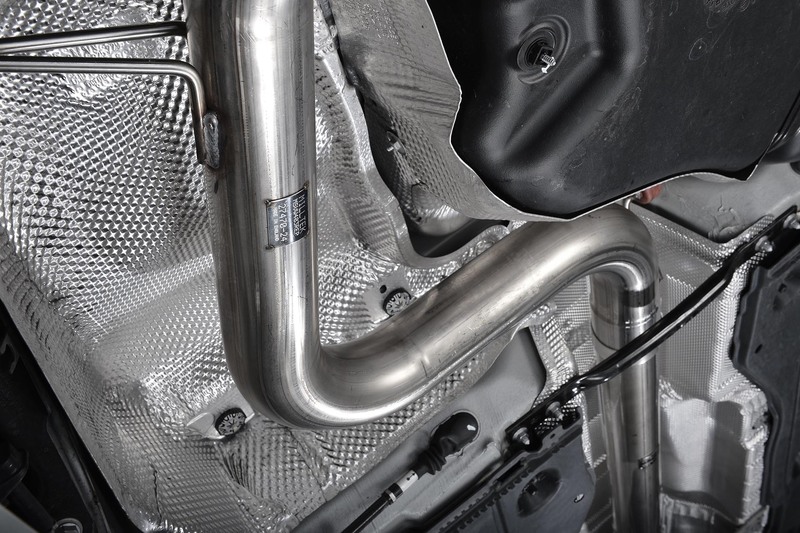 For customers looking to get the best possible performance from their Cupra, Milltek Sport has also developed a range of larger-bore downpipe options which, when combined with the cat-back system, makes a full turbo-back system. 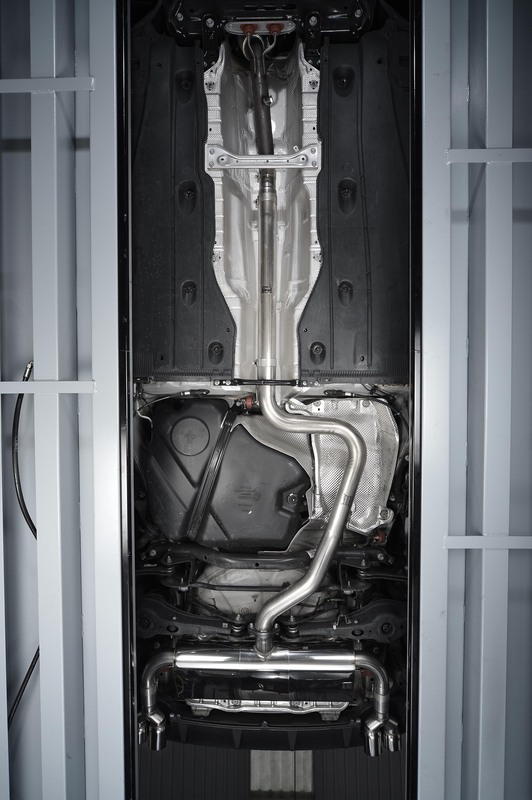 Depending on local legislation, customers can choose between an ultra-high-performance 200 cell hi-flow sports catalyst, a catalyst removal section, and even an EC Type-Approved hi-flow sports catalyst. 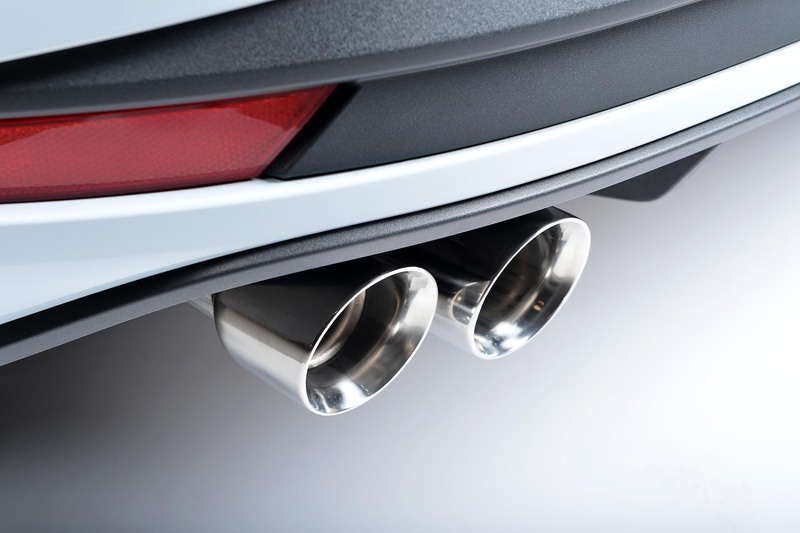 Milltek Sport knows that looks are an important consideration when buying any aftermarket exhaust system and gives customers the choice of three tailpipe options: Quad Round GT80 tips or Dual Oval. Both tip styles are available with either the shiny Polished finish or in the subtle and durable Cerakote Black Velvet finish. 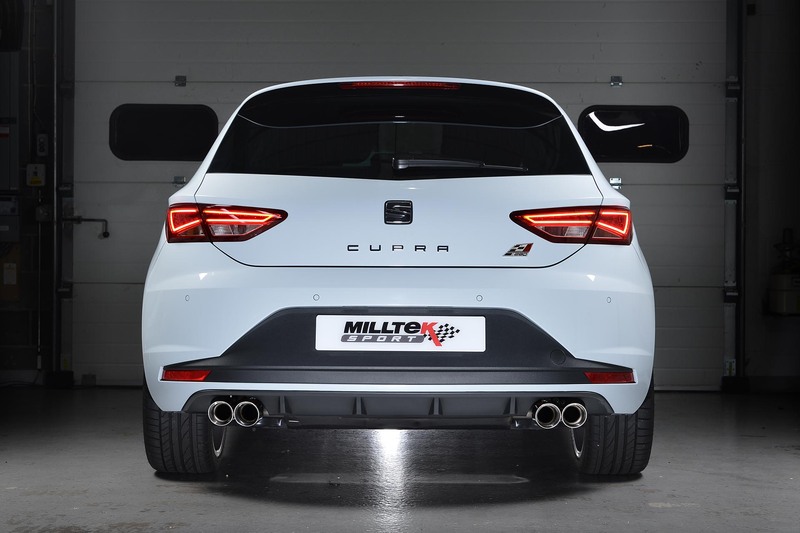 Milltek Sport’s SEAT Leon Cupra 280PS systems are now available from all Milltek Sport stockists.